At Honda of San Angelo, want to help you find the perfect Honda to fit your needs, whether you’re looking for a new Civic to zip around the streets of Midland or you’re looking to fit the whole family with plenty of space in the high-tech Pilot. 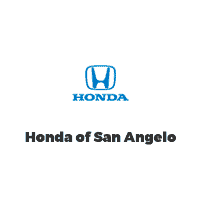 Why Buy a New Honda from Honda of San Angelo? Our extensive inventory of Honda models will allow you to pick your favorite model in the perfect color and configuration. With more and more new models offering Honda Sensing safety features, there’s never been a better time to get behind the wheel. After your purchase, our San Angelo service department will help you maintain your vehicle to ensure years – even decades – of enjoyment. Easily get pre-approved for financing online, after finding the right car, truck, SUV, or minivan for you or your family, and come visit us in person to see our pristine lot of new Hondas for sale in San Angelo during your test drive.